When it comes to house-hunting, you have a choice between an older ‘existing’ property or a new build. There are advantages and disadvantages for each type of property but here we look at the great benefits to be had from buying a brand-new home. 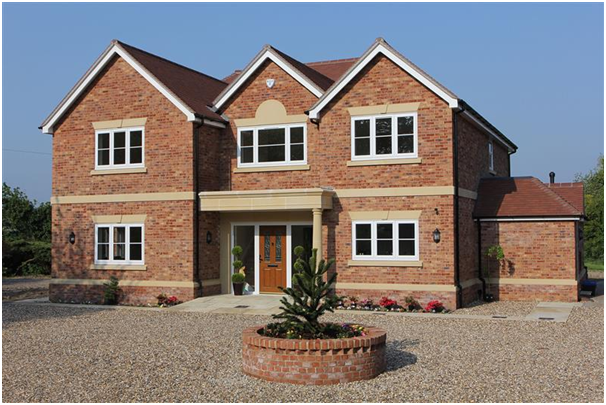 The standard of new build properties in the UK has never been better and they are built with modern living in mind. Lifestyles have changed greatly and whereas you’ll find out-dated layouts and fixtures in an older property, that won’t be the case in a new build. Fitted kitchens and double-glazing come as standard these days which cannot be said of all older homes. Many new builds display the kind of open-plan living design that modern house buyers desire. When it comes to technology and the use of multiple devices and appliances, new builds are equipped to cope with this demand. An older home might require various maintenance and updating whereas a new build is ready to live in straight away. Fixtures we’ve come to expect like double-glazing, central heating and fitted kitchens are all in place, modern and ready to go, leaving you with only the finishing décor touches when you move in. Modern appliances in new builds will be energy-efficient too, saving you money on energy bills. An older home could have insulation problems, pushing up the cost of heating. New homes are more environmentally-friendly with significantly lower carbon emissions than older homes. Thanks to strict building regulations, buying a new build provides great peace of mind when it comes to fire safety and security. Fire and smoke alarms are fitted as standard, as is the use of fire retardant materials. Many new homes also come with alarms, locks and security lighting as standard. Buying an older property could well mean installing all these safety features yourself. Unlike with existing properties, new builds should come with a ten-year warranty and insurance. This normally comes in the form of two year’s builder’s warranty and then 8 years of insurance cover from the NHBC should any defects occur, which is highly unlikely with a modern new build. There is a much smaller chain when it comes to purchasing a new build home. There is also less waiting as you can move in as soon as the sale is complete, without waiting for previous owners to move out. For those with an existing property to sell, many builders offer a part-exchange process or sales assistance to help with the sale. The whole process is much more stress-free with less parties involved and no long chain. Previous Previous post: How to Lose Weight Quickly and Permanently? Owning a property with a Flat roof.